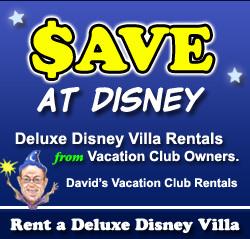 Are you headed to Walt Disney World? If so, stop by Epcot! 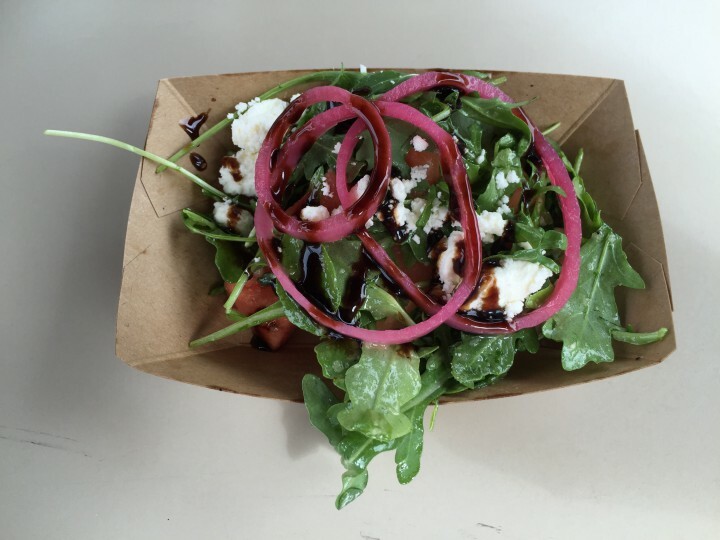 The Flower & Garden festival is in top gear, and the food is being served! But, what should you have to eat? Hah! 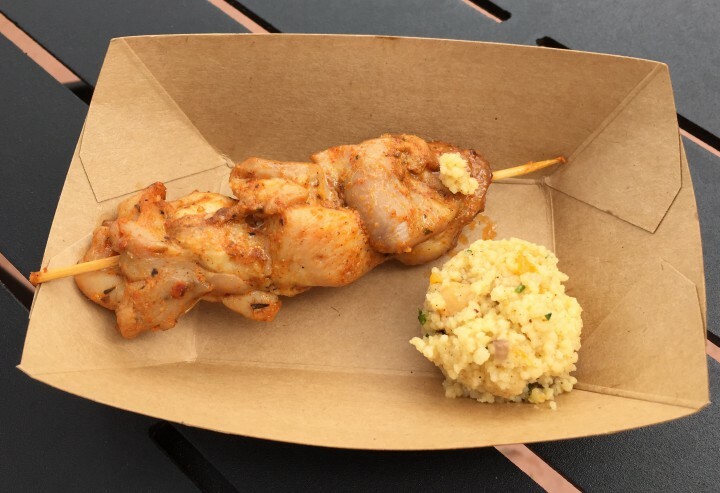 Let All in WDW help you out with your menu. In fact, let us give you a menu! Folks, here’s your guide right here. 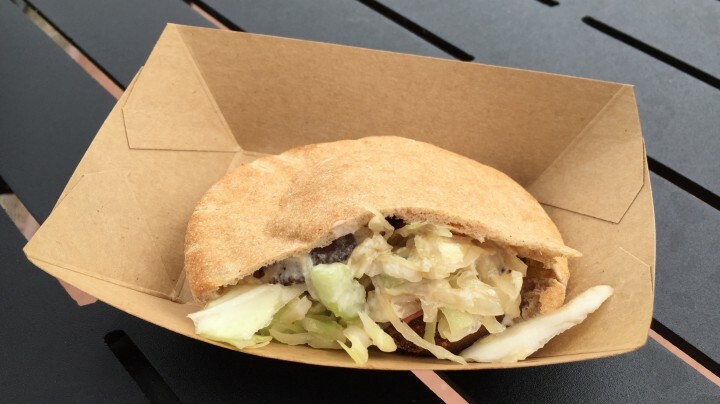 It’s the 2015 All in WDW “Food” & Garden Festival FINAL Top 15! Remember, click on the dish’s name to see its picture! 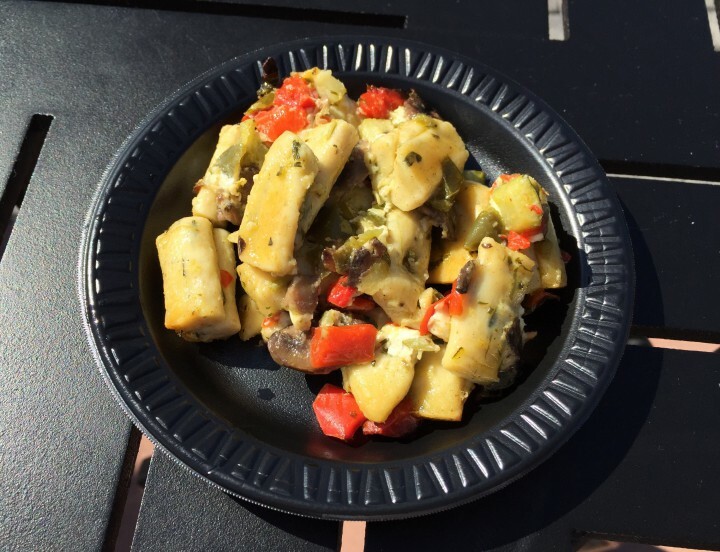 The 2015 All in WDW “Food” & Garden Festival FINAL Top 15! The TOP 10! 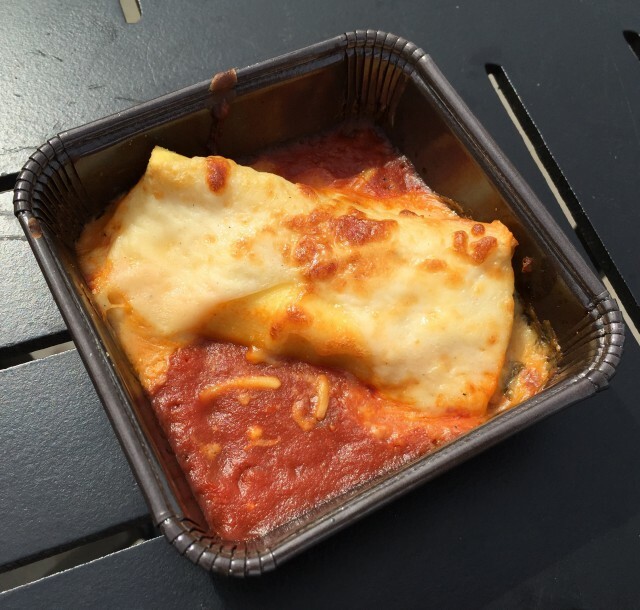 My tour through Epcot’s 2015 “Food” & Garden cuisine is, pretty much, at an end. I hope yours is just beginning! Plan a trip! There’s so much festival time left! Click on the dish’s name to see my actual “Flash Reports”! I do love my sushi. A simple dish, I felt the portion size was a bit small for sharing. Having said that, even though I would have preferred tuna, this was quite enjoyable. A very refreshing item! The seafood – shrimp, scallop, and grouper – was very fresh. The veggies were perfectly crisp. The best part of this recipe was the proportion of protein to vegetable. What I mean is that the veggies, as they should, let the seafood be the “star”. 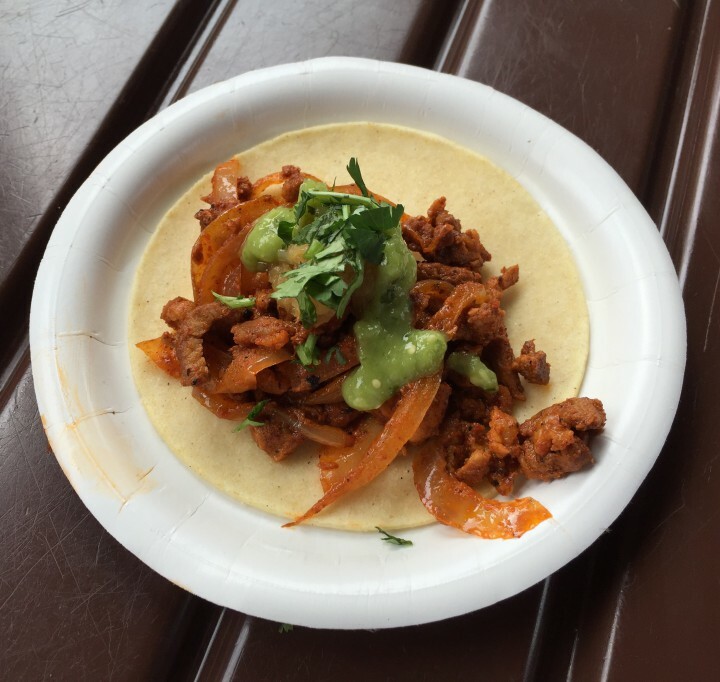 Once again, for me, the corn tortilla tarnishes this taco. 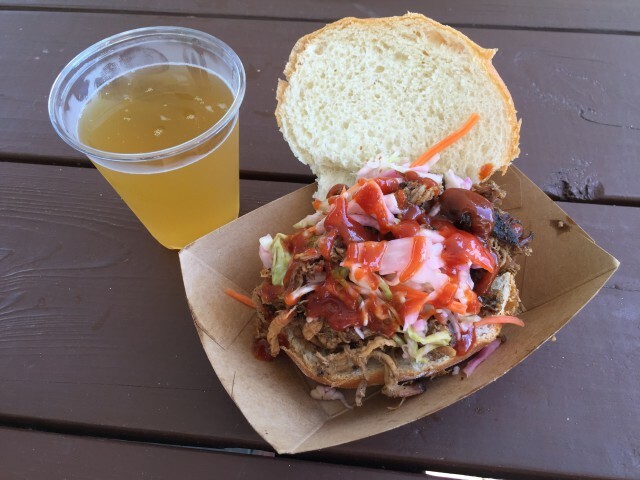 The pork, itself, was very tasty … even if my particular serving was a bit on the cold side. Construct this dish with a flour tortilla, and I’d be “all in”! 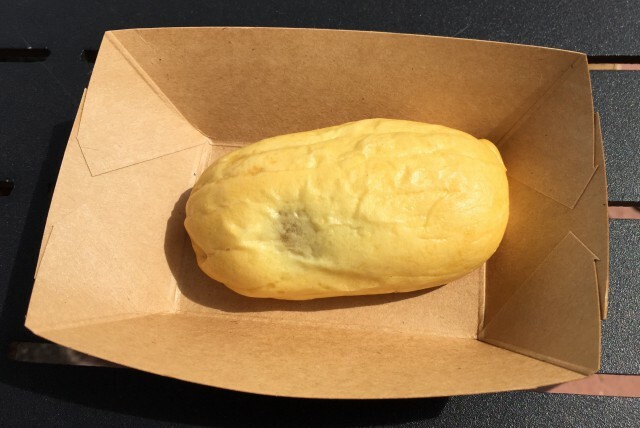 Yes, unranked coming in, this item was amongst Epcot’s biggest “Food” & Garden surprises. At least to me, that is. 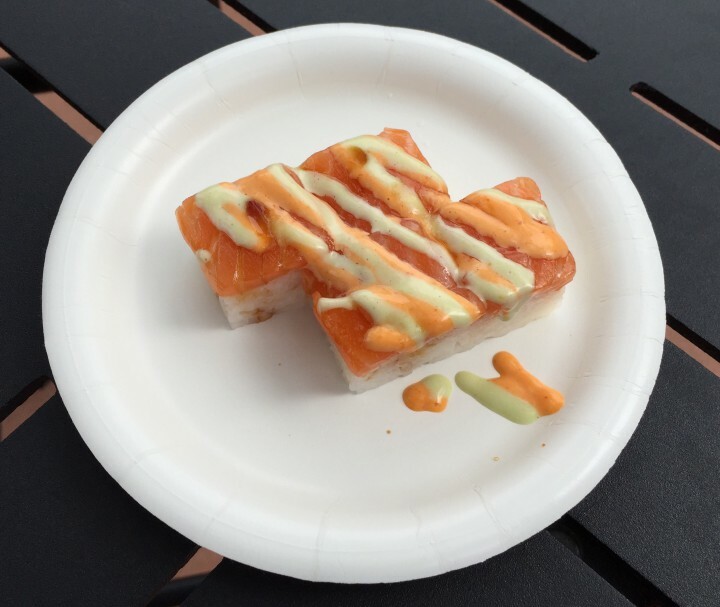 I was frightened off of this recipe because I just didn’t like the overly-sweet Teriyaki Chicken Steamed Bun that Japan served at last Fall’s Food & Wine. 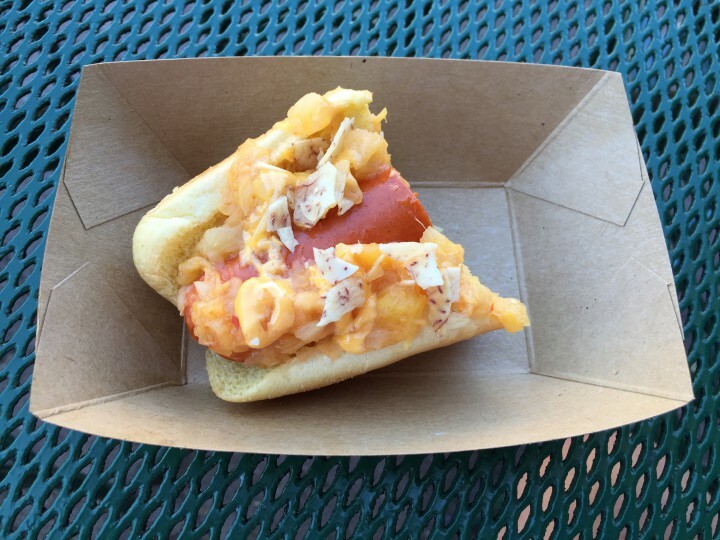 As a result, I only sampled this delight at the urging of WDW Main Street’s Dennis Conroy. Great call, Dennis. It was quite good! Because it lacks a centerpiece protein, I always underestimate this dish. As a result, it often lands in the bottom of my Top 15. Well, in 2015, it gets the credit it deserves. This is one of the most refreshing things I’ve ever eaten. The balsamic is the best I’ve ever tasted. The flavors meld in a way that’s utterly symphonic. In short, everyone should try this dish at least once! The mighty two-time “Food” & Garden “champ” has fallen. My first serving in 2015 was cold and dry. And, even though my second and, yes, third tries were much better, inconsistency was this one’s demise. In fact, before I left Epcot, I finally found the best way to enjoy this former “king”. Meet Billy’s Chilies Beer. It washes any dryness of the bun and pork right down. As in 2014, a pleasantly spicy dish. The portion size was still quite generous. The slaw was crisp and refreshing. 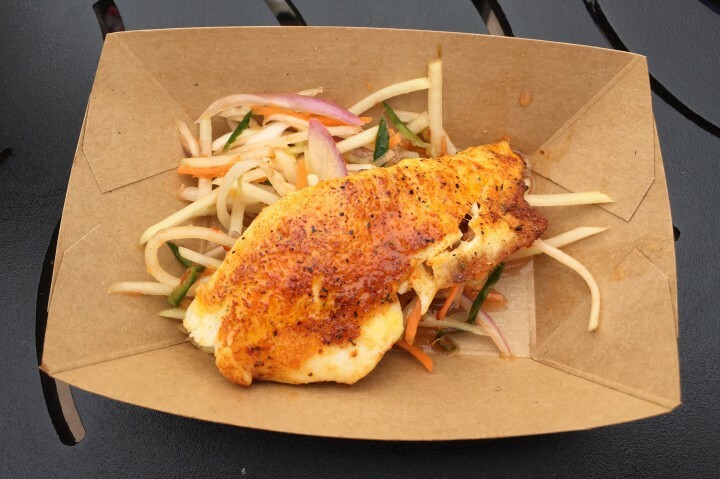 The only warning I would have is this … the spice on the tilapia tends to mix with the dressing on the slaw to produce a bit of an orange-colored splash hazard. Be very careful. I wasn’t … twice. I ended up in the restroom washing orange “dots” out of my white polo. 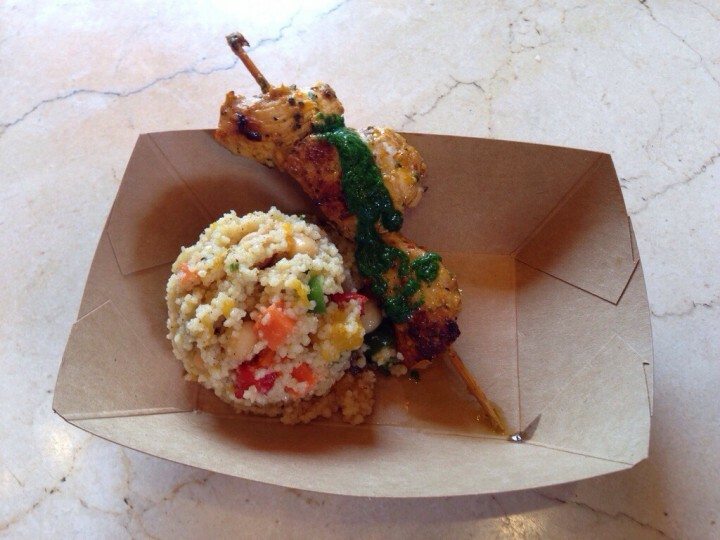 I have to give Dennis Conroy of WDW Main Street most of the credit for this dish’s description. 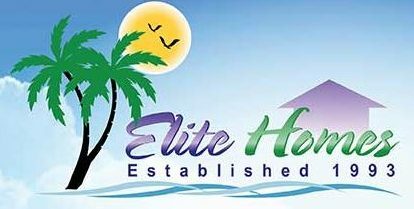 After all, he called Florida’s shrimp and grits a “destination dish”. What did he mean? 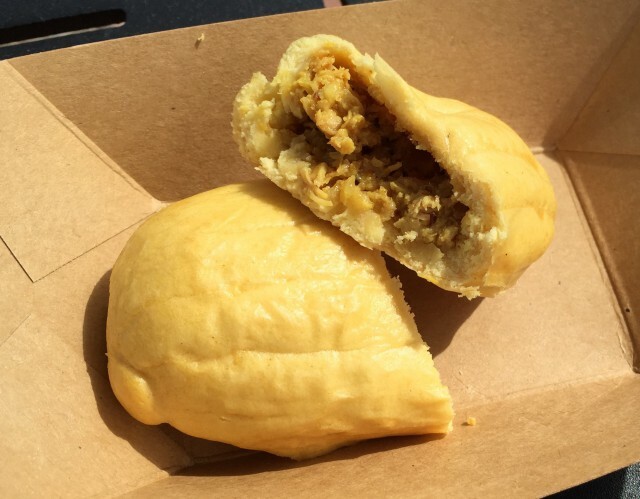 You can proudly tell someone to specifically visit Epcot’s World Showcase to sample this delight. For my part, I don’t know where to start. 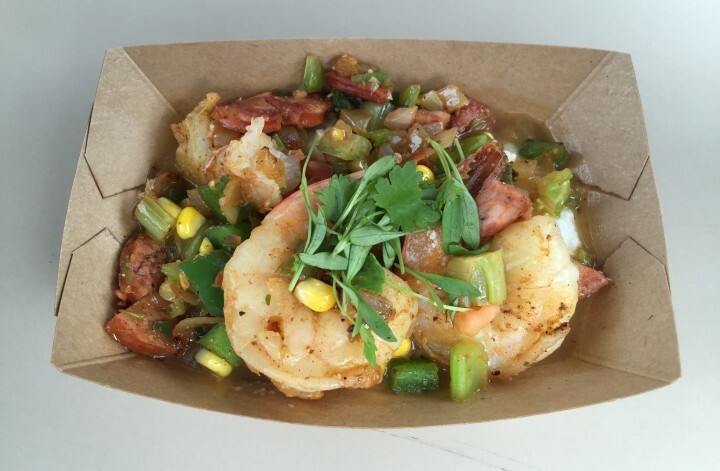 Generous sized shrimp, spicy andouille, crunchy vegetables, and phenomenal taste. That’s what this masterpiece adds up to … all sorts of fabulous! In truth, stealing the “thunder” from Dennis a bit, in my mind, any of “my” Top 3 dishes can be called a “destination dish”. 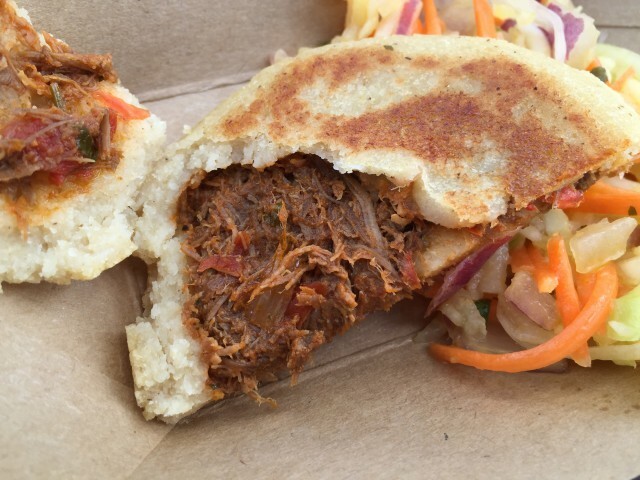 Botánico’s Colombian arepas surely qualified. 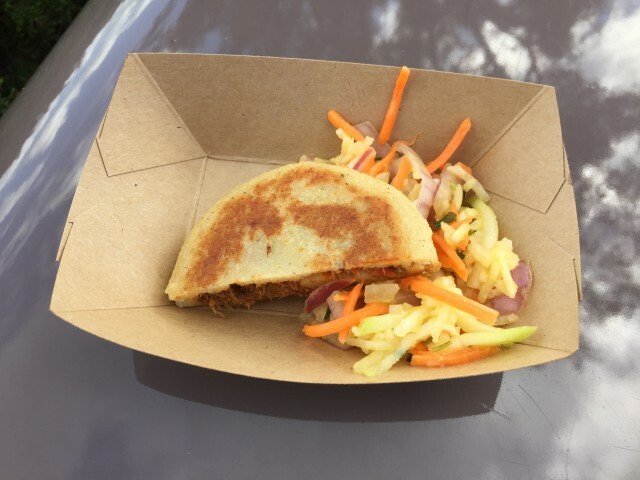 Its braised beef filling presented the best flavor in the entire festival, as far as my palate was concerned. But, that’s not the only reason why it screamed to the top of my chart. And, finally, introducing a new “champion”, China scores again! 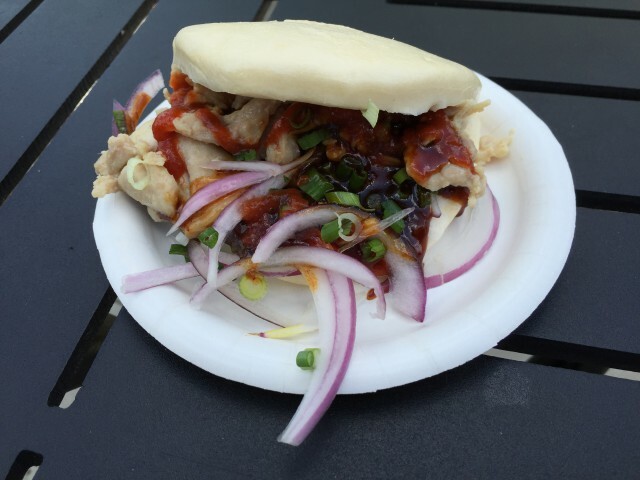 Congratulations to the Kung Pao Chicken Bun! 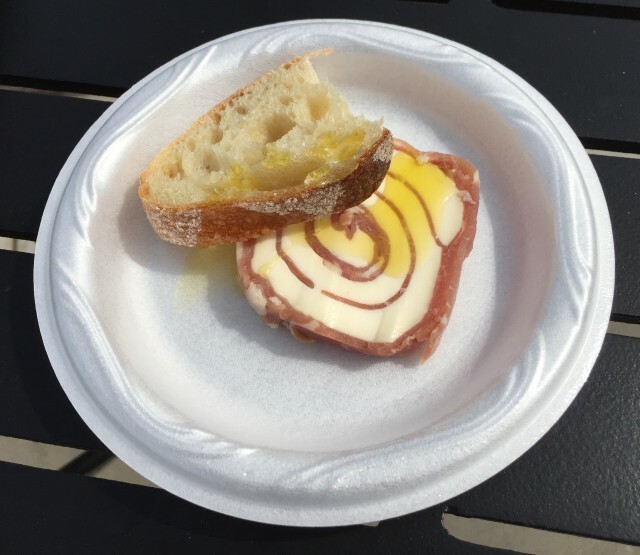 Going into the festival, I said … “This dish is my ‘dark horse’. If you’ve followed me for long, you know that I just love China’s steamed buns. 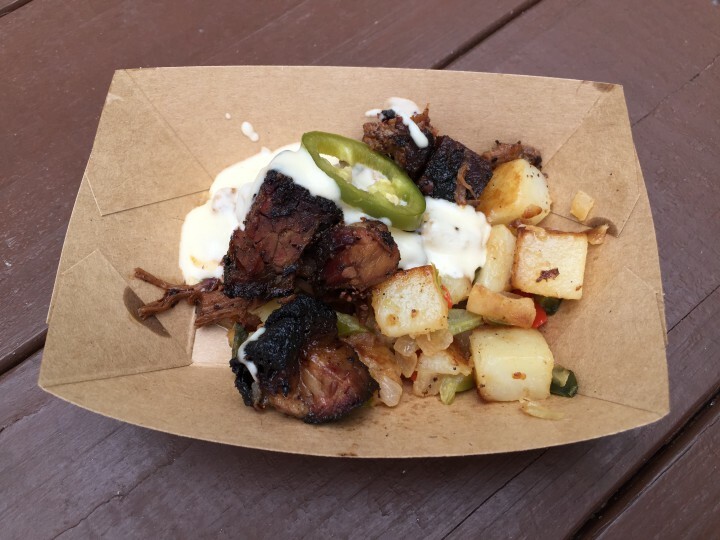 In fact, according to my palate, their Mongolian Beef won the Epcot Food & Wine Festival in 2013. Well, win big, it did! 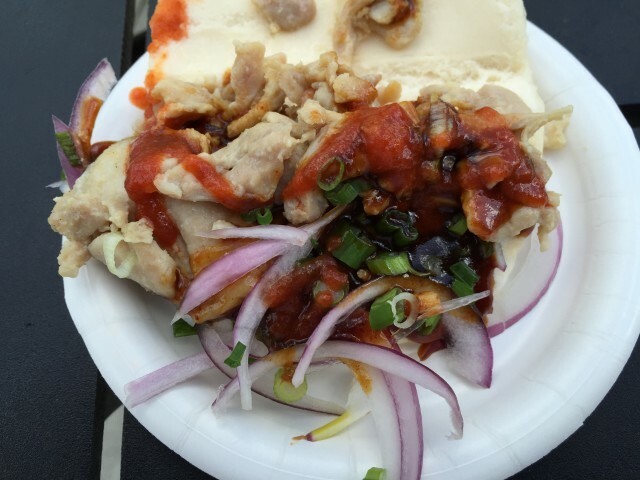 If you ask me what one thing you should try at this year’s “Food” & Garden “party”, China’s steamed bun would also win my recommendation. Hand’s down! Fantastic performance, China! Job well done! There you have it, folks! “Food” & Garden ’15? In the books! If you get a chance to attend this festival, let us know what you liked … and what you didn’t. We’d love to hear it! 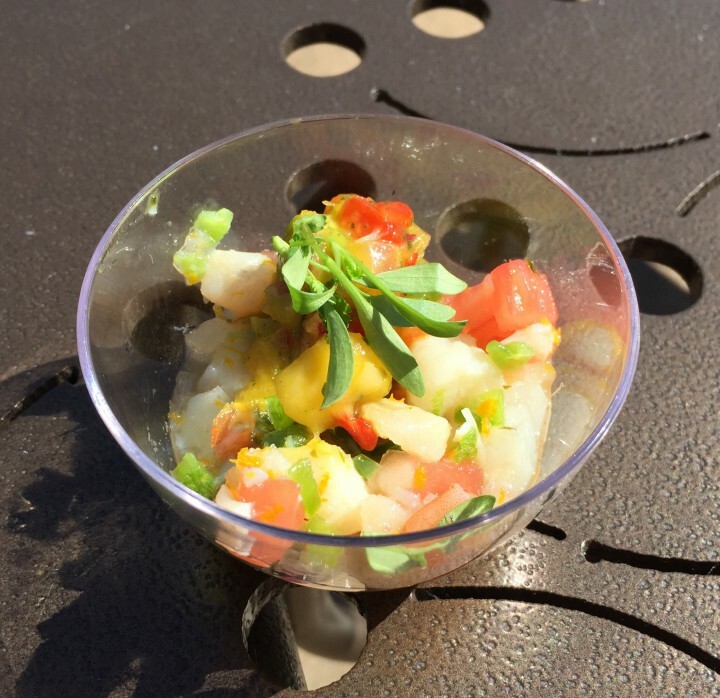 The 2015 All in WDW “Food” & Garden Festival FINAL Top 15! It FINALLY Begins! Yes, finally! You see, this is what happens to me. I get in the middle of a “series” of posts (i.e. “Food” & Garden) and, then, March Madness happens. 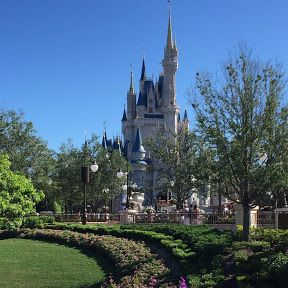 Well, we had fun with the Magic Kingdom polls, yes? Good. Get your voting “muscles” ready, my friends. 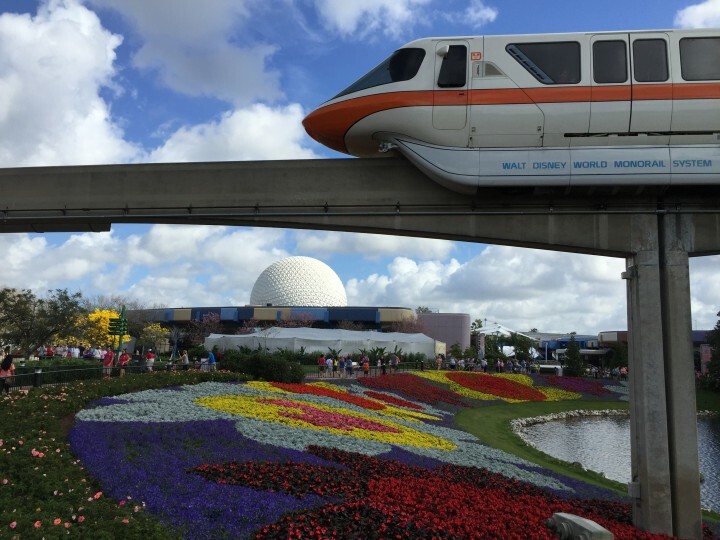 The WDW poll is only days away! Sorry, Morocco. You did it to yourself. And, even though I liked your falafel less than your kebab, I’d have to say that the chicken was the bigger disappointment. 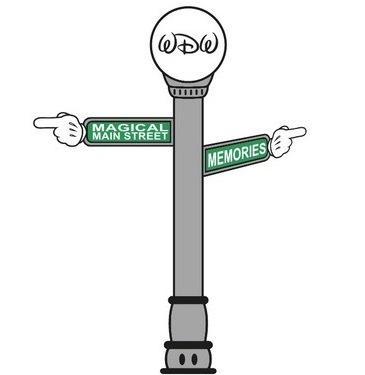 It was great in 2014. Simple comparison of the two years, though, and I have to judge 2015 as a huge step backwards. Try again. 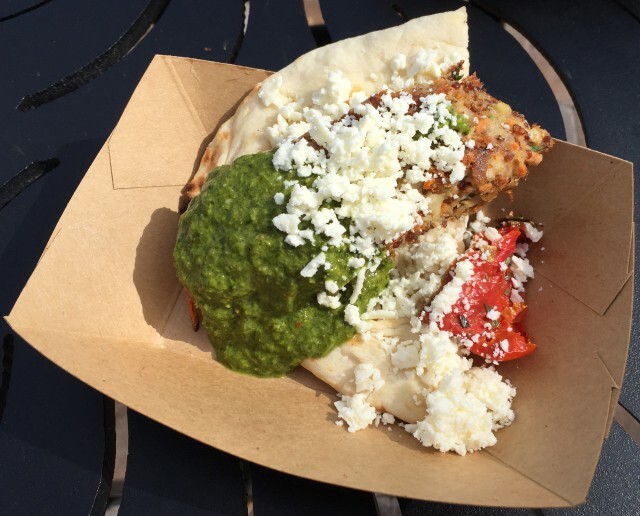 And, when it comes to the falafel, I don’t know what to say. How about, “Stay far away”! On the other hand, I found slightly pleasant surprises in Italy. Pre-festival, my expectations weren’t high at all. As executed, however, both of their dishes were more than acceptable. That’s big praise from me, too, when you think about how much I’ve criticized Italy since they made the ill-fated Food & Wine Ravioli decision of 2014. I liked the naan. The pesto was all right but layered on a little bit thick. The cheese added a nice boost to the dish. By the way, the quinoa “cake”, itself, included white beans as a filler. I was curious and asked the chef. Hmm. Or, was the quinoa the filler? Just plain ordinary. 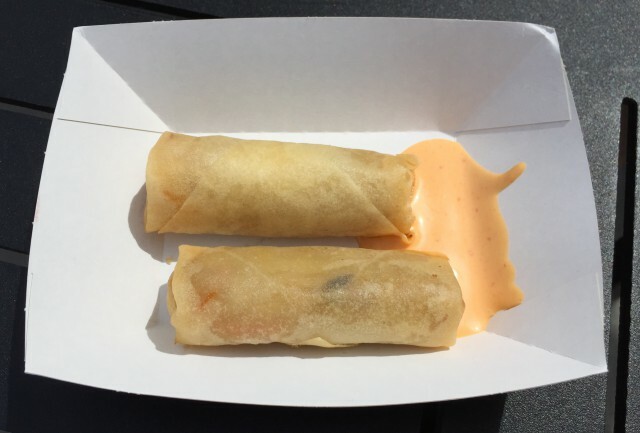 Honestly, an egg roll from my local Chinese take-out is just as good. I expect more, China. Keeping it simple, the ends were definitely burnt. More burnt than my tastes … and, I like my beef well done! In addition, it was more hash than brisket. No, it didn’t live up to my expectations. And, it certainly didn’t live up to 2013-14’s Smoked Beef Brisket! This Venezuelan corn “pancake” was quite good. 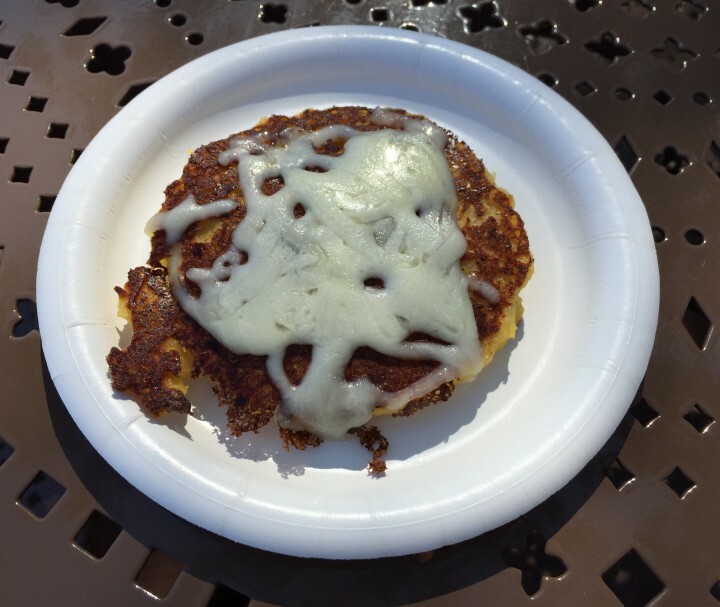 But, it was just that … a corn pancake. Good. Not “mind-blowing”. Not a member of my Pre-Festival Top 15, I owe France’s dumplings a great debt. They helped me knock Morocco’s Falafel Pocket into the Dishonorable Mentions! If you like garlic, you’ll like this dish. The dumplings are good, but the recipe includes mushrooms. Have I mentioned how much I “like” mushrooms? Not! 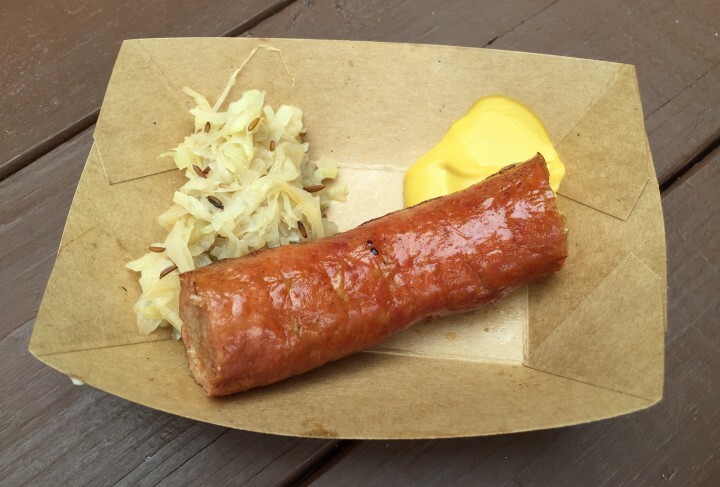 … a solid serving of smoked sausage. I’ve heard mixed reviews. It has a very nice “spicy-ness”. Some say it’s too hot. I felt it was just right. The serving, though, was pretty generous. OK, my friends. So, that was a start. Tomorrow? I’ll be back with the Top 10!